This is your chance to play and learn the ukulele – the loveliest and most anarchic of string instruments. Whether you have played before or not, this is a day to suit you and to restore your enthusiasm in instrumental music-making. Tutor, Matthew Forbes, will help you explore melody, harmony and rhythm, as well as the seeds of your own songwriting, setting down good techniques in both hands for strumming and picking. Songs and pieces are chosen from many differing styles, and there will be a guaranteed atmosphere of nonjudgmental fun throughout. Instruments are provided if necessary. 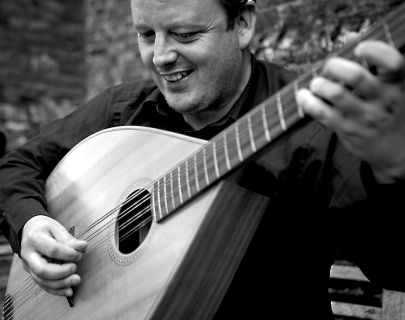 Matthew Forbes is the ukulele, non-classical guitar and cello teacher at the University of Warwick. He has performed and recorded worldwide with some of the finest ensembles and singers in the world, and has appeared many times on radio, television and film, as well as having written music for many people including the Birmingham Hippodrome Theatre and the London Symphony Orchestra. He also holds the world record for the largest kazoo ensemble ever assembled.